Bel Lido Isle is a luxury waterfront community in Highland Beach, Florida West of A1A, east of North Federal Highway and north of NE Spanish River Blvd. At Bel Lido Isle, you are close to shopping, restaurants, nightlife and downtown. Cruise down Delray's Atlantic Avenue that's only minutes away from your estate. There are many luxury homes in south Florida, but very few with the views, access and amenities offered at Bel Lido Isle. As you enter the beautiful tropical community from South Ocean Boulevard, you immediately notice the luxurious details, the pristine manicured grounds and marvel at the spectacular waterfront views. Homes in Bel Lido Isle are only minutes from the gorgeous, much less crowded beaches of Highland Beach. Enjoy deeded beach access for the community so you have your own private piece of the Atlantic Ocean. Luxury homes in on Bel Lido Isle feature unique architectural details in the 71 Mediterranean and British West Indies style homes ranging in size from 1,200 to 5,000 square feet. 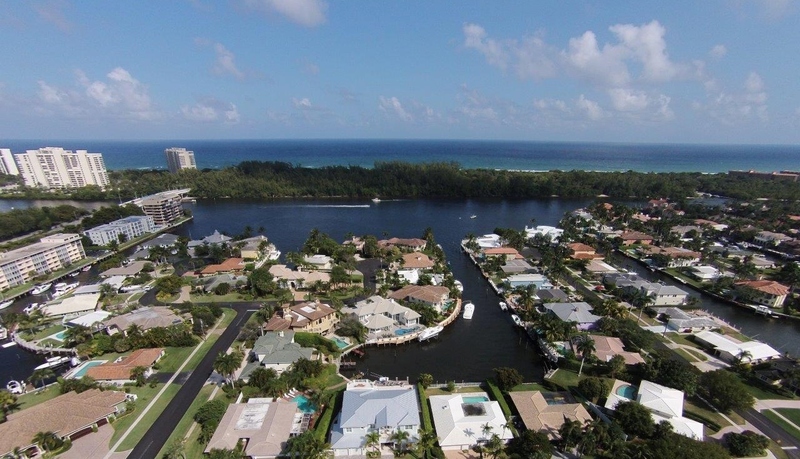 Most homes in Bel Lido Isle feature private pools, deepwater dockage, direct access to Atlantic Ocean and Intracoastal Waterway with no fixed bridges. For a private tour of Bel Lido Isle and other Highland Beach Luxury Home Communities, please contact us at Mizner Grande Realty. We specialize in South Florida's finest properties.